South Spur Rail Services have announced the purchase of Alco unit NA1874 from New South Wales based rail operator Austrac Operations Pty Ltd. South Spur's General Manager James Wilson told The W.A. Railfan Site today that he was "very pleased to have secured the NA class for South Spur after much negotiation". Mr Wilson said that NA1874 would also carry the Company's attractive blue livery. NA1874 is believed to be in reasonably good condition, requiring only minor rectification work. South Spur's fitters have had the locomotive fired up at Goninans Bassendean works, where the locomotive has been for many months. 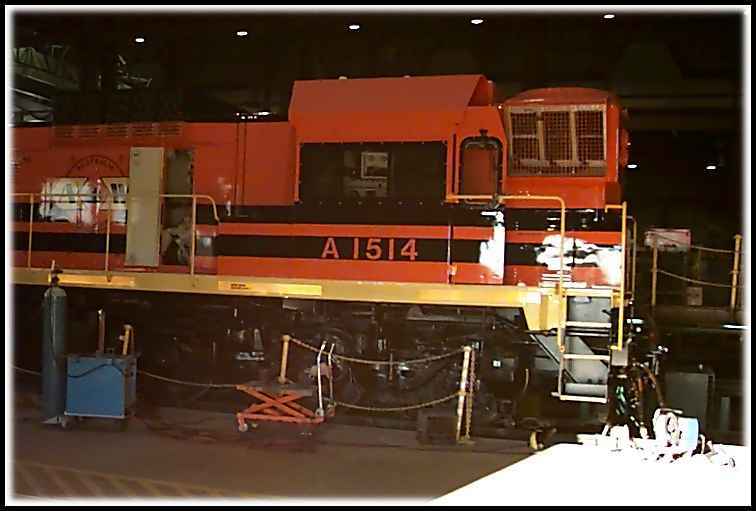 It will be moved to the neighbouring ARHS Rail Transport Museum in the near future for immediate rectification work, prior to certification for mainline operations. NA1874 becomes the second narrow gauge locomotive for South Spur, joining R1902. The first three 'XO' wagons, to be used to transport wood chips from the Albany Plantation Export Company's new Mirambeena Mill near Albany down to to Albany Port, have been re-painted in orange and have had 'hungry boards' fitted. Newly modifed T 01 (exDA1) and T 02 (ex874) will 'top and tail' the XO wagons using single man operation. 1.5km rail line would connect the chip mill on Down Road West, near the Mirambeena Industrial Estate, and the main line to Albany. 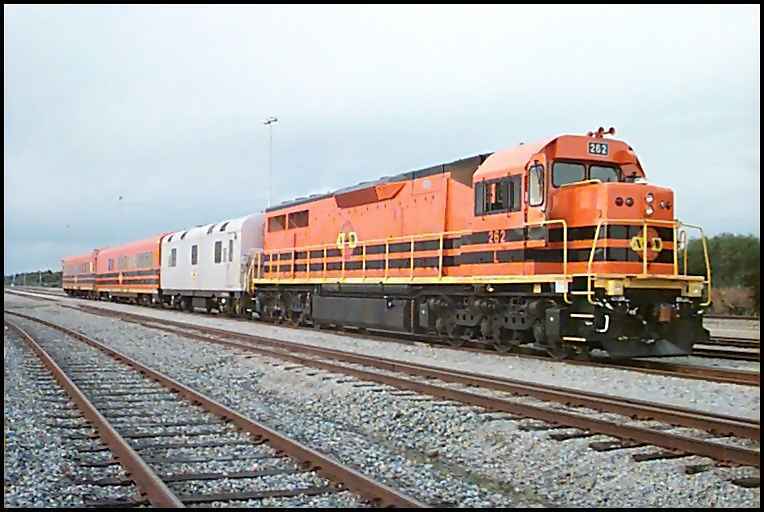 The Government has brokered the new agreement with the State's private rail operator to ensure the woodchips from the Albany mill will be transported by rail. At the same time, the Government has ensured that it will obtain equity in the rail link as a result of this new agreement. Planning and Infrastructure Minister Alannah MacTiernan said the 1.5km rail line would connect the chip mill on Down Road West, near the Mirambeena Industrial Estate, and the main Albany railway. The overhaul of A1514 is almost complete. With final fitting out taking place at EDI, a trial run should take place shortly. The A is the third narrow gauge locomotive to wear the AWR livery. T 01 (ex 874) is currently in the EDI paintshop.